Expert Insurance Claim Investigators - Sherlock Investigations Inc.Sherlock Investigations Inc.
What makes for a true industry leader? The answer is simple: Real Accomplishments! A group of educated, experienced, certified Professional Investigators at Sherlock. 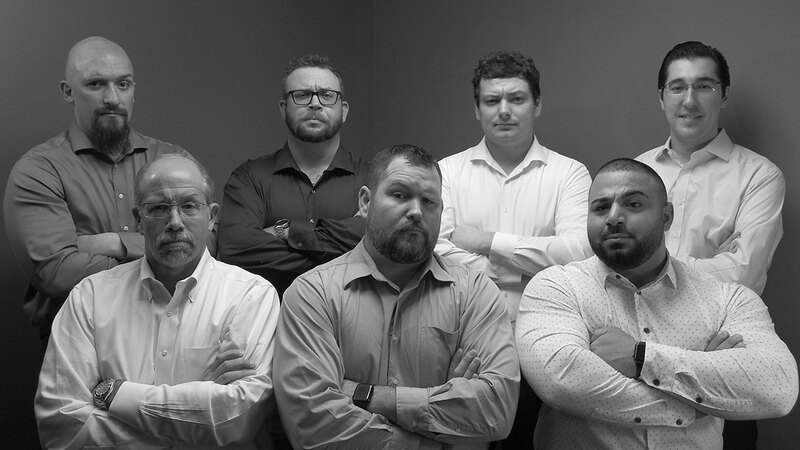 Five members of our leadership team hold a Master’s Degree in Intelligence Analysis. Managers who served in leadership roles within Military Intelligence Units. Our staff hold Board Certifications in Investigation. Leaders who hold the coveted Certified Fraud Examiner accreditation. Leaders who have served as experts in legal matters regarding other private investigator’s conduct and practices. Leaders who have been engaged in insurance claims investigations, full time for over twenty-five years. Large staff of former law enforcement officers and military veterans. A truly unique business model and design that produces consistently superior results when compared to all others. A large, diverse team of full-time experts in a variety of disciplines who cross support one another. In a crowded space like insurance investigations, surprisingly, there are very few actual industry leaders. Instead, there is a crowd of people who have limited formal education, no credentials, no real certifications and no applicable investigative background. At best, they have experience conducting surveillance for a company exactly like their current one. The model is simple and easily duplicatable: schmooze some clients, offer a free lunch, hire cheap surveillance investigators to work the files, hope to get some video and then, recommend two additional days. Repeat on every case. It is sad how predictable this really is. Don’t let the “average” agency treat your claims like a Fast Food Order. The professionals at Sherlock will provide customized, consistently superior results. This model is so prevalent and the sub-standard performance of these agencies so pervasive, that many refer to the investigative agencies as merely “surveillance companies”. Assigning surveillance is now comparable to ordering fries. Some are a little better than others, but at the end of the day, you’re not surprised or impressed no matter who you order them from. One PI agency looks and performs like the next and the industry is commoditized, so many buy from the sales person they like the most. When they try selling to you, they all sound the same: years of combined experience, state of the art technology, fast turnaround time, street smarts, blah, blah. Those attributes don’t signify excellence. In our opinion, those are the absolute minimum requirements to be in this business! But, it doesn’t have to be this way….. If you’re looking for consistently better results from your surveillance assignments, they can only be achieved by an agency that breaks from the traditional model and actually hires experts to lead them and to conduct the work. In summary, Sherlock has no equal in the claims investigation arena in Michigan.